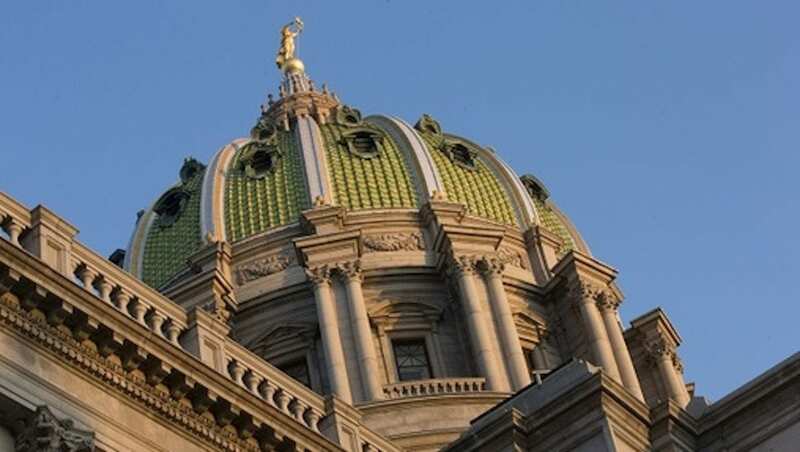 HARRISBURG (WSKG) — This could be the year Pennsylvanians vote whether to amend the constitution and shrink the state House of Representatives by a quarter. The process started last session; this year, the same exact bill must pass the legislature again. If it moves fast enough, it could go out to voters as a referendum as soon as November. It has already passed the House State Government Committee on near-party lines–with most Republicans in favor and Democrats opposed. However, it’s getting somewhat tangled up in ongoing disputes about legislative redistricting. In the committee hearing, Montgomery County Democrat Mary Jo Daley tried to amend the bill to create an independent citizens’ commission that would handle state redistricting, instead of the legislature. It’s a process some states have adopted in an effort to make redistricting less partisan–though attempts to do the same in Pennsylvania have repeatedly failed to launch. “This kind of reduction in the size, without saying how it’s going to be done or leaving it to a different way–it’s more gerrymandering,” Daley argued. Republicans shot her amendment down–with Committee Chairman Daryl Metcalfe, of Butler County, calling it a delay tactic. Daley doesn’t really dispute that. She said she’ll ultimately vote against the amendment no matter what form it takes, because she doesn’t think the legislature’s problem is its size. Pennsylvania has the largest full-time legislature in the country. The amendment currently on the table would cut it from 203 members to 151.